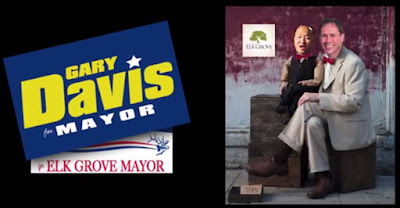 Just in time for Halloween, a group of area residents produced a video casting Mayor Gary Davis and Elk Grove mayoral candidate Steve Ly as a ventriloquist and dummy respectively (See video below). 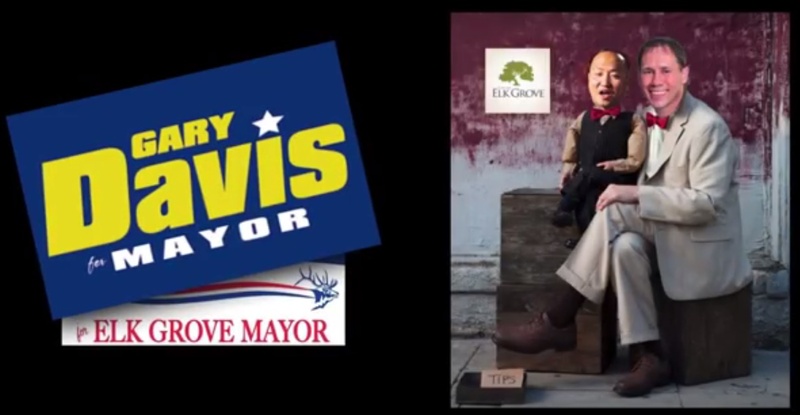 The video suggests Ly, who was elected to the Elk Grove City Council in 2014 with Davis' guidance, is a dummy to Davis' ventriloquist. Before his surprise announcement this summer that he would drop out of the mayoral race, Davis was actively campaigning for his third two-year term. Upon Davis' withdrawal, Ly immediately entered the race. Ly, who was appointed to the Vice Mayor's position last year, has received the endorsement and political mentoring of Davis as well as a $12,000 campaign donation. Among several items, the video criticizes Ly for creating an unauthorized Vice Mayoral seal, which some in the community have suggested is a violation of the Elk Grove City Council's Code of Ethics. Ly nor the City Council has addressed this allegation. Ly is one of seven candidates seeking to replace Davis as Elk Grove's directly elected Mayor. As of the most recent campaign financing disclosures filed with the Elk Grove City Clerk's office show, Ly has raised more cash than all six competitors combined. Additionally, an independent expenditure committee called Residents for Responsible Development, filed documents on October 27 with the Elk Grove City Clerk's office in support of Ly. The committee has $100,000 and is equally funded by the Plumber & Pipefitters Union Local 447 and the Sheet Metal Workers Union Local 104 which is being spent on mailers for Ly. The raw video was not produced by ElkGroveNews.net It was provided by a group of residents opposing Steve Ly who asked to remain anonymous. Images of EGN news pages in this video were used without prior knowledge or permission under the Fair Use Doctrine.